Over The Toilet Space Saver is the right choice for your Bathroom providing a Classic Elegand and Practical Decoration and keeping your Bath Organized and Stylish at the same time. The Storage Open Shelves will give the Space that required to Create the Impression of a Big Bathroom even in the smallest ones.Over The Toilet Storage Cabinet will Provide all the tools offering the Style and Practicality to make the best out of your Bathroom. 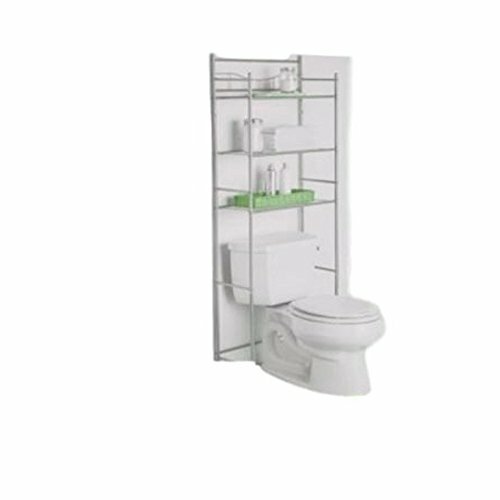 You can Keep one of the most used rooms in the day Organized all the time with the Over The Toilet Space Saver. If you have any questions about this product by GT, contact us by completing and submitting the form below. If you are looking for a specif part number, please include it with your message.